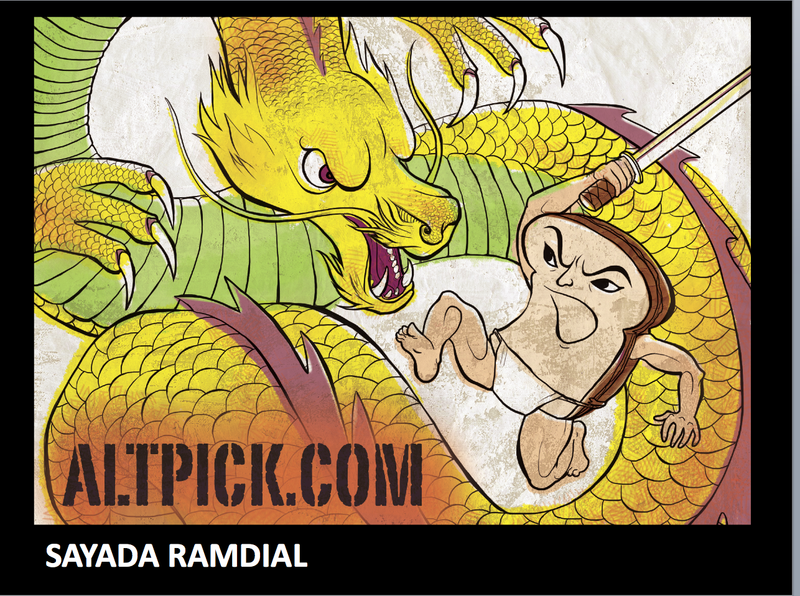 Sayada Ramdial‘s piece was funny and nicely illustrated with ‘Altpick.com’ prominently displayed. Molly Lawrence’s beautifully executed piece had a subtle and quiet message. 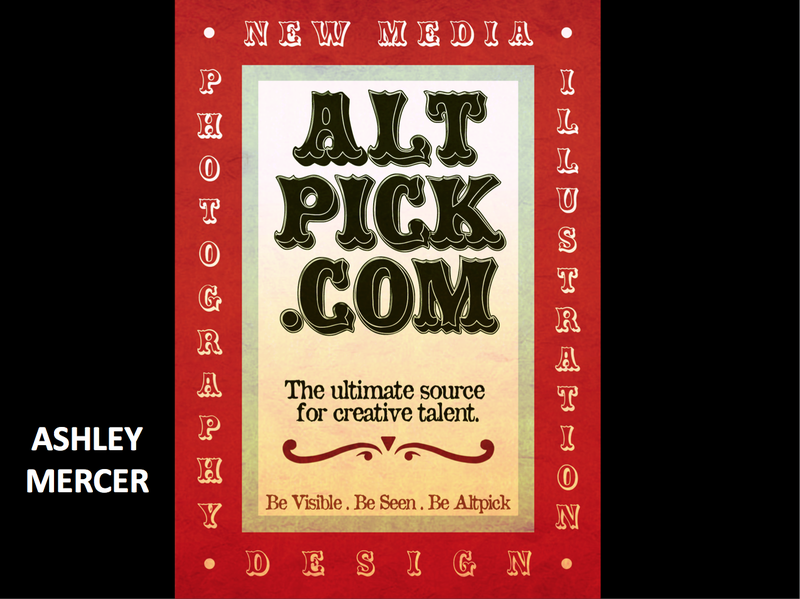 Ashley Mercer‘s type treatment prominently displays ‘Altpick.com’ and the circus theme is a fun way to get someone’s attention. Ashley’s postcard side B is strong and can stand alone. If used together, both side A and B may conflict. I love the way Ashley brought in the different categories around the border. 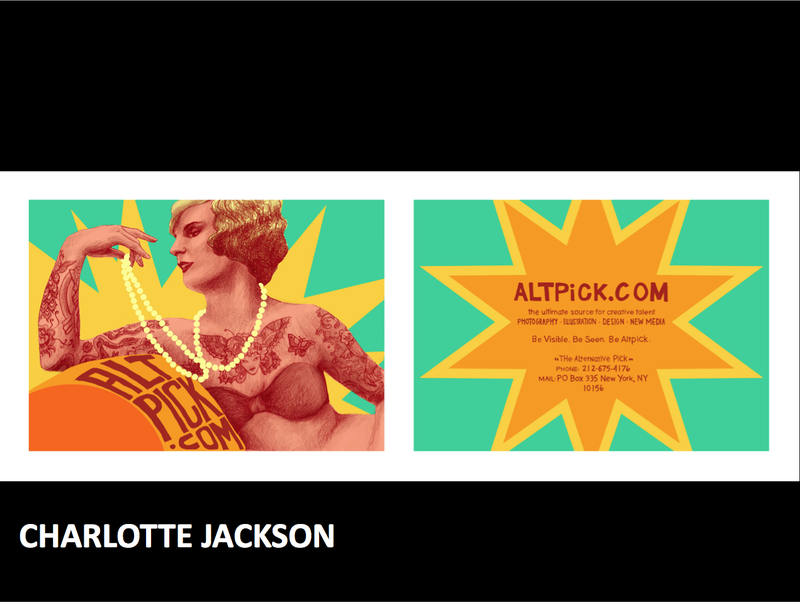 Charlotte Jackson’s retro approach appeals to my sensibility and I love the use of minimal color. Here is my favorite. 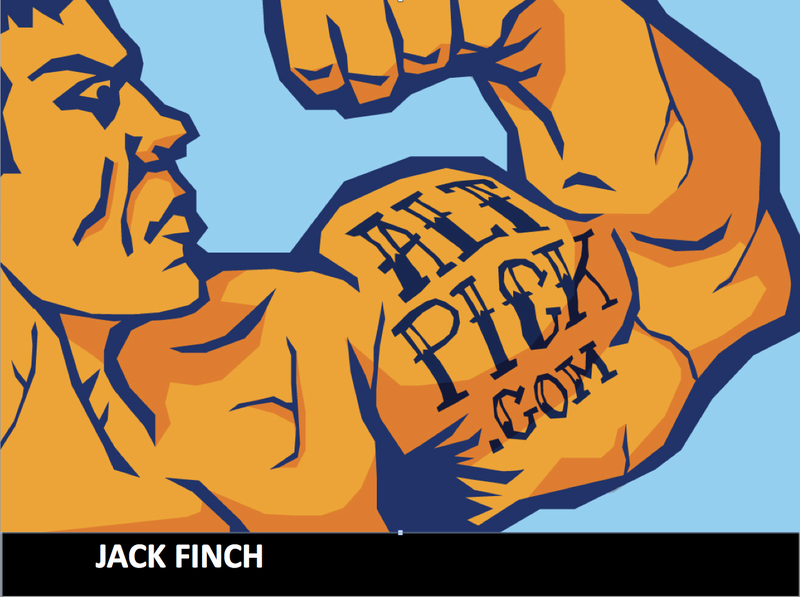 This has the punch (no pun intended) and Jack Finch‘s graphic design approach to his illustration has the right message for the audience Altpick is trying to reach. Jack’s postcard side B: I love the type treatment, however, it needs a little more art direction and reorganizing the space for a stamp, return address, contact info and send to address space. 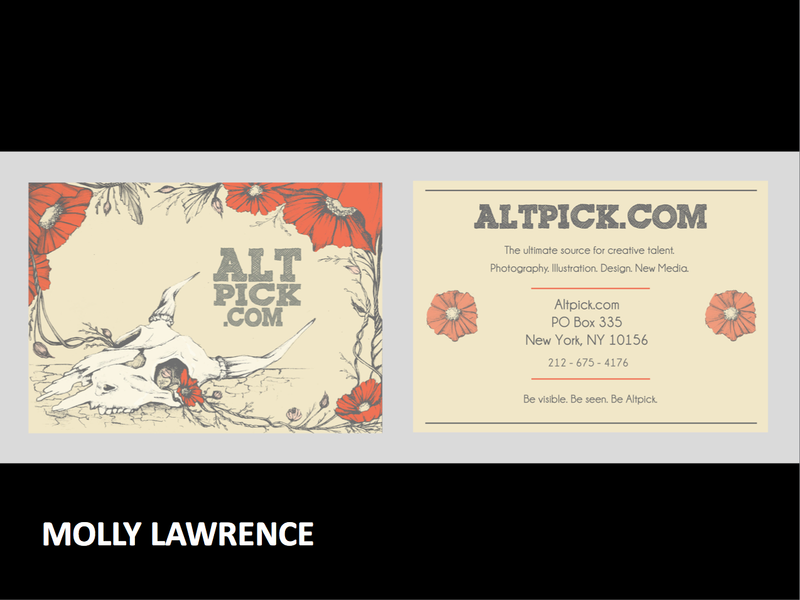 However, it can be easily fixed and therefore this is my first place winner for the SCAD’s Altpick Postcard contest. Great work, Jack. 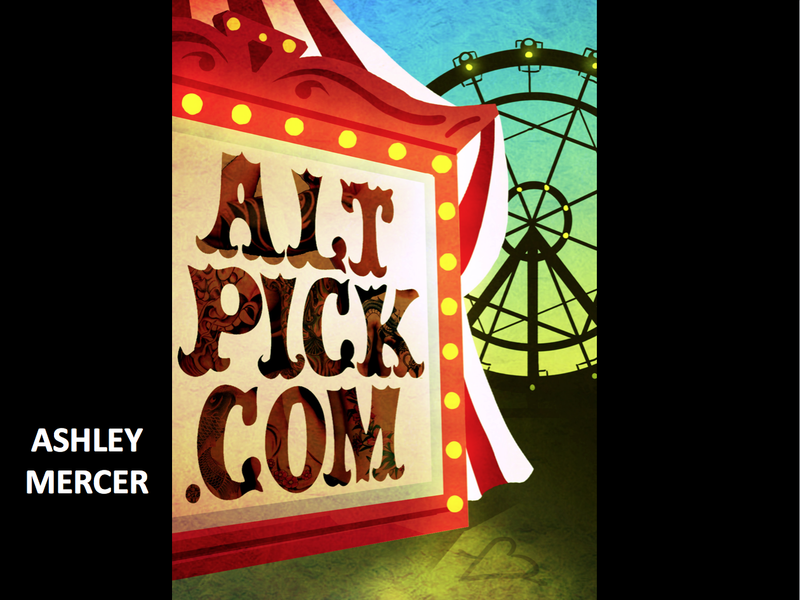 The three runners-up won a free year membership on Altpick.com. Thank you to everyone who participated. You made the winning entry a difficult choice by creating great pieces! 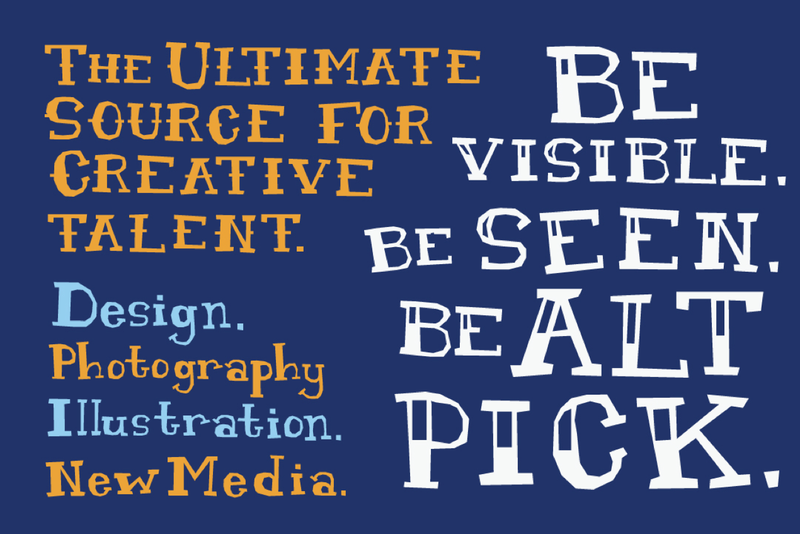 This entry was posted in Altpick, Art, Illustrations and tagged contest, marketing, presentation, promotion, scad, student. Bookmark the permalink.